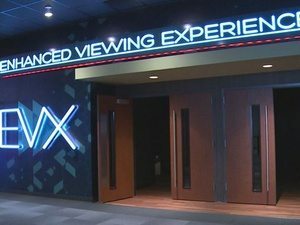 Imax plans to double its presence in the Gulf region over the next three years, the company’s CEO has revealed. 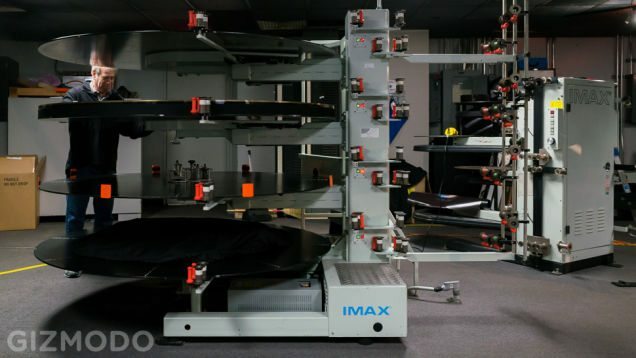 Imax Corporation, the entertainment technology company known for its network of giant cinema screens, is planning to invest between $10 to $25 million (AED36.7 to AED91.2 million) in the Middle East region in the next three years, according to a report from Gulf News. The company’s CEO, Richard Gelfond, told the paper that his company planned to increase the number of IMAX theatres in the region from fifteen to thirty. Last week Dreamwork’s Animation SKG showcased its 360 degree 3D VR (virtual reality) film plans. The demo included a brief clip of a ‘Super Cinema’ scene with assets from Dreamwork Animation’s “How to Train Your Dragon” franchise. At a recent Samsung conference, Dreamworks unveiled “Super Cinema”, a technology that aims to deliver the robust CGI movies that its customers are familiar with in a virtual reality format. That means that Dreamworks would be moving from pre-rendered movies to real-time ones, because just like our video games, the movie has to respond appropriately to where the user is looking. 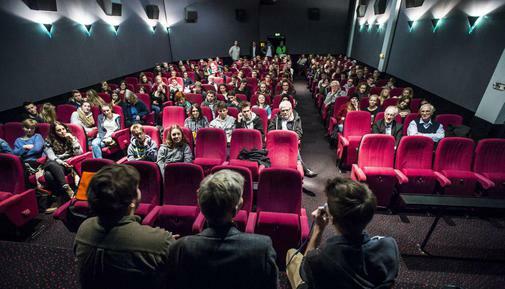 Germany – Last week was ‘school cinema week’ in the German state of Mecklenburg-Vorpommern. 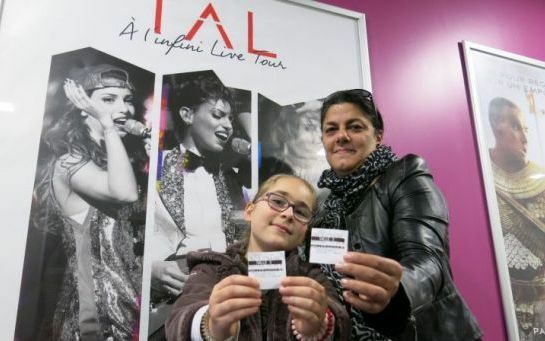 The event has been running for several years and is a big hit, as well as a good way to socialise the next generation of cinema audiences to the magic of the big screen and good films. Germany – Labour unrest seems to have spread from London’s Brixton to Cologne, where cinema staff went on strike last week. A long-simmering dispute between the head of the Metropolis Cinemas, Catherine Laakmann, and the workforce has now led to the first impact on the game mode. On Thursday the staff put the entire evening shift down the work in protest against working conditions in the cinema. The result: long queues at the ticket counter, chaotic conditions in the foyer. 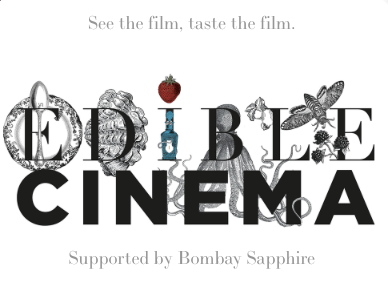 UK – The concept of pairing food with the film has already been tried by Watch & Wolf, though no mention of it in this article about Edible Cinema. HAVING someone chew their dinner in the next cinema seat to yours might sound like a novelty gone too far, but Polly Betton believes Edible Cinema is “a cat-flap invention”. 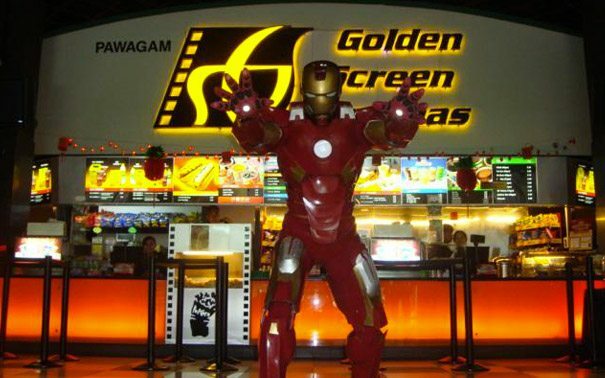 Malaysia – In an otherwise largely flat market, cinema advertising is the biggest growth sector in the Malaysian market. Adex growth was led by cinema, in-store media and pay-TV, which rose 25.8%, 15% and 13.6%, respectively. Ad spend for newspapers and free-to-air television grew 4.3% and 5.1%, respectively. France – An article on how event cinema is growing in France, sadly most of it behind a paywall (article, not event cinema, that is). Ballets, concerts, one-man-shows … Multiplexes are no longer content to broadcast films. The formula is booming in the department. New Zealand – This I have not seen before; not so much ‘studium seating’ as ‘stadium bedding’. 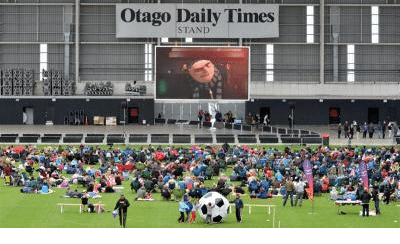 About 1000 people turned up to the family-friendly movie event which featured a screening of Despicable Me on one of the large replay screens. Despicable Me was screened after members of the public voted for the movie over The Lego Movie in an online poll. USA (TX) – A USD $22 million entertainment complex opens in Kyle, Texas. The wait is over as ‘EVO’, Kyle’s first movie theater and entertainment center, opens its doors this weekend. 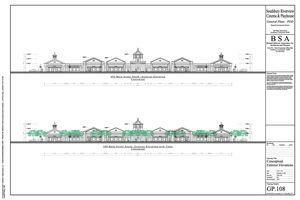 The name EVO is short for “evolution,” said principal investor Mitchell Roberts, because that’s what he believes the 70,000-square-foot facility represents in Central Texas entertainment. 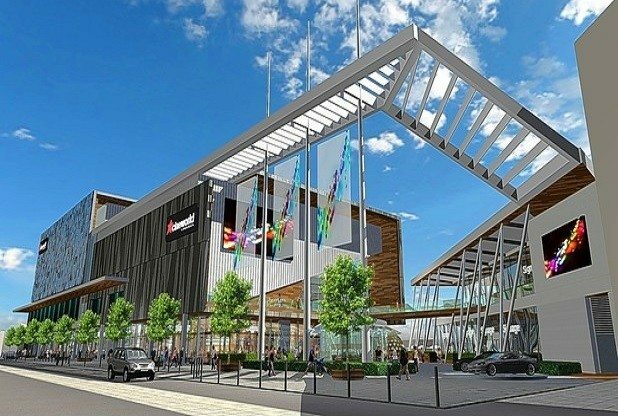 UK – Plans for a new Imax and Cineworld in Plymouth have been unveiled. PLANS to bulldoze Bretonside Bus Station and build an 11-screen cinema are to go on public display next week. An exhibition of the plans to redevelop eyesore Bretonside will take place over three days. Developer Drake Circus Leisure, set up by British Land, is hosting the events. UK – A different type of roof-top cinema. A NINE-SCREEN cinema will be built on the roof of the Alhambra after planning permission was approved. 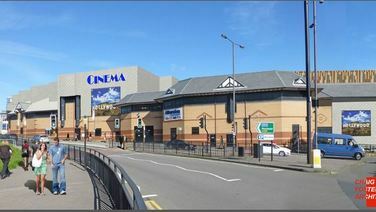 Councillors called the scheme a ‘welcome investment’ and said it would see fewer people leaving the town to go to the cinema. India – The geographical battle for supremacy intensifies in this suburb of Delhi. A heady concoction of “the best in business” technology and “value-added” luxury awaits film buffs here as multiplex majors PVR Cinemas and Cinepolis look to share prime space in the gateway to the Northeast. 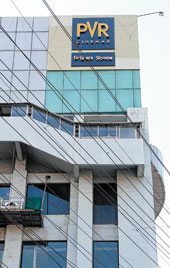 While PVR, India’s largest movie chain, is opening as many as eight screens, with two of them coming up by January, Mexican multiplex major Cinepolis is readying a four-screen property at an upcoming mall on GS Road here. USA (CT) – An interesting swap: films for fish. A trophy trout fishing area with potential for hiking trails has been offered to the town as part of an application by developers who want to build an eight-screen movie theater on Main Street South. USA (LA) – The latest outpost for Alamo Drafthouse will be in Louisiana, Baton Rouge (NB: home town of Steve Soderbergh). Alamo Drafthouse Cinema is coming to Louisiana. The cinema chain has selected Baton Rouge as the home of its first theater in the Bayou State. 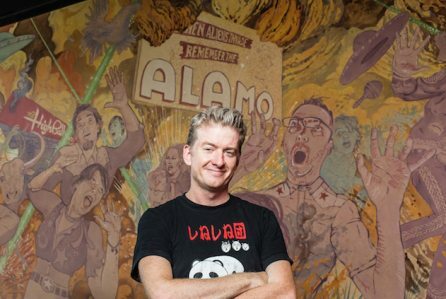 Entertainment Weekly named Austin-based Alamo Drafthouse “the best theater in America.” Unlike other cinemas, it serves food and alcoholic beverages. But Alamo Drafthouse is best known for its strict policy of requiring its audiences to maintain the proper cinema-going etiquette. Germany – ‘Without cinema – no cultural life’ is the sub-heading about the lack of cinemas in this part of the former East Germany. Heiligenstadt , A resort town with 17,000 inhabitants, since eleven years does not have a cinema more. On 3 December 2003, provided there in the movie theater in the traditional ” Reichshof “Off the lights.” It was a farewell in tears, “the operator recalls Egon Paul Although the last performance was actually funny – “The Punch Bowl” with Heinz Rühmann was shown. The hall was packed to the rafters. When I stopped by to look behind the scenes, the IMAX at Lincoln Center was playing the 70mm print of Interstellar. The print is 10 miles long and weighs 600 pounds. To get to the theater it gets transported via forklift and truck and takes 6 hours to assemble once it arrives. Once assembled, the print has to be threaded through the projector. To do this, the first 20 feet of the print are taken and put through the projector across the room and back into a take-up spool, the winds it back up. There’s a handy diagram on the machine, though the projectionist, like Mike Satran who handled Interstellar, usually know all the steps already.